Since WaldaBlog's relaunch this past January, we have explored a many park improvement projects that have been in progress since September of 2013. In the coming weeks we will embark on even more improvement activities. However, our unpredictable weather threw a wrench into last week's plans to get started. But looking on the bright side, we think this is the perfect time to test your New for 2014 knowledge. Hint: Each answer can be found in WaldaBlog entries from January through March 2014. 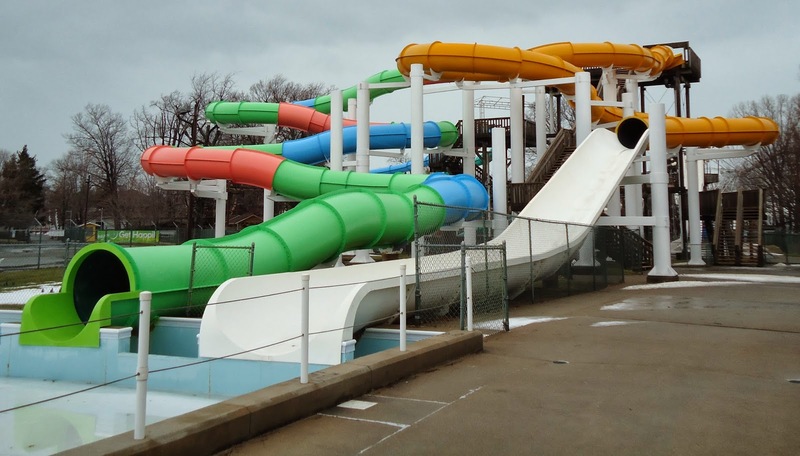 1) Many of Water World's slides received a makeover with bright new colors. Midnight Plunge, along with new paint, was renamed _______. 2) Which ride received a brand new LED Lighting Package for the 2014 Season? 3) Where did Amusement Today’s Golden Ticket Awards rank Ravine Flyer II on their list of Best Wooden Coasters in the World in 2013? 4) This ride is celebrating its 15th Season in 2014, and received some upgrades for improved safety and comfort. 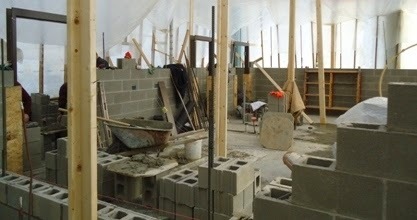 5) A brand new restroom facility is conveniently located where? 6) These two rides had sections of track replaced in time for 2014. 7) Which nautical-themed ride is welcoming the return of its giant Treasure Chest? And the results are in. See how you fared below. Congratulations! You are now a New for 2014 Master and WaldaBlog Expert. We can't thank you enough for following along with our relaunched WaldaBlog. Check back soon as our weather forecast is looking more promising for more fun improvements to take place as we say goodbye to a snowy March, and get ready to hit the ground running in April. After one of the coldest and snowiest winters we have seen in years, the arrival of Spring could not come any sooner. 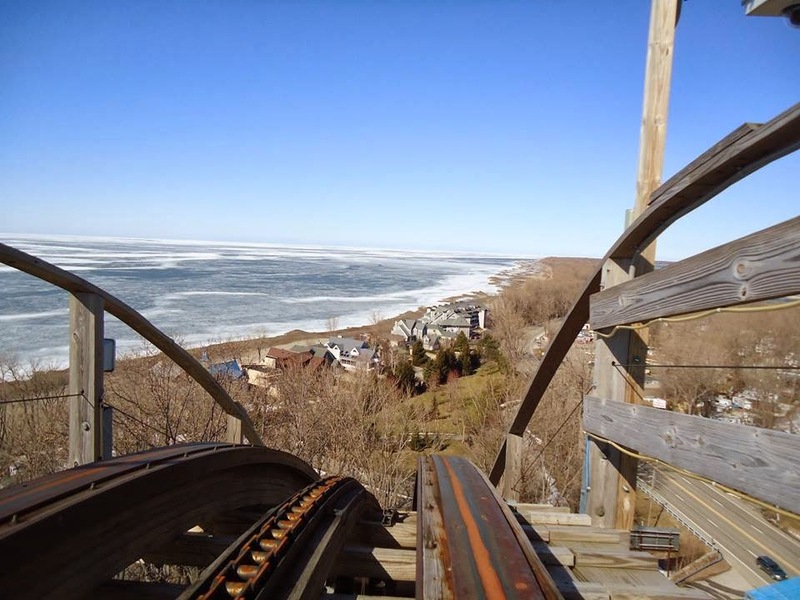 Spring is a sign that Waldameer and Water World is about to awake from it's long Winter slumber, and more new surprises for 2014 will be completed for your enjoyment. A sunny first full day of Spring stroll in the park was full of bright sunshine as well as the smiles and laughter from excited 2014 Season Pass Holders stopping by to take their pictures. Let's take a sneak preview of the fun things to come this Spring! First sign of Spring. Our shrubs by the Park Office are beginning to grow back. Mrs. Little can't wait for the warmer temperatures to arrive so she can work her Green Thumb Magic on Waldameer's gorgeous landscaping. The snow is welcome to melt at any time. Paratrooper can't wait much longer for some upgrades! Can't wait to see the new surprises in store for Wipeout in 2014! Once the temperatures get a tad bit warmer, we can get right to work. If there is one ride that couldn't be happier for Spring to arrive, it's Flying Swings. This past winter was too strong for the top canopy. Inside Rainbow Gardens the necessary sewing repairs are already underway so Flying Swings is ready for takeoff on May 10th. Ravine Flyer II, on the other hand, is always thinking warm. 90 Degrees! Did you think we could resist walking only halfway up? A sunny climb to the top of RF2 revealing some blue water is always a sign that Spring has sprung. Crews are still hard at work making track and structure improvements to Comet. Those bright new colors sure pop in the spring sun. Okay, let's not get too far ahead of ourselves! Take a good look at this section of the park as you might never it this way again. Rumor has it in the few weeks a dramatic change is about to take place. With the sun shining brightly and preparations in place for rides and attractions to come back to life, there is no doubt that Waldameer and Water World has a case of Spring Fever. Check back soon as we will be back with lots of new exciting things as we continue to chip away at the rest of those question marks on our 2014 Improvement Map. Don't forget to check out our 2014 Job Fair on March 29 for all of those who may be interested in becoming a part of our 2014 Team! Click here and here for more information. Is a Walda-Job in Your Summer Plans? It's that time of the year again! 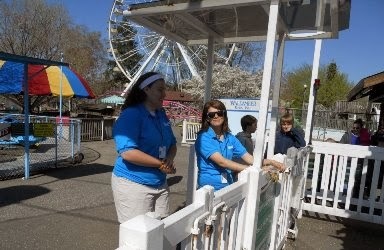 Waldameer and Water World's 3rd Annual Job Fair is being held March 29th from 10:00am to 3:00pm in Rainbow Gardens. We are looking for around 500 responsible, enthusiastic, and hard-working Team Members for our 2014 Season. 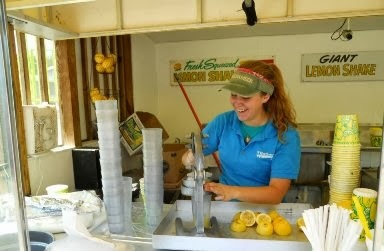 Available positions include Lifeguards, Ride Operators, Game Attendants, Concessions, Catering, Retail, and Admissions. Depending on position availability, you could be hired on the spot! Continue reading to learn all about how to apply to be a part of our Team! 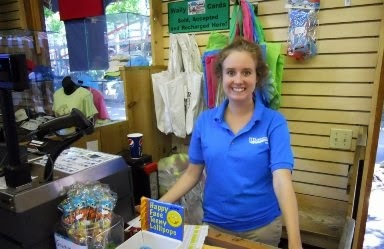 Might Waldameer and Water World be your First Job? Never fear, we have some tips for mastering your interview! Make sure you are dressed "business casual" and you meet our grooming guidelines. No need for a suit and tie or a homecoming dress, just avoid those jeans and t-shirts. Arrive to the Job Fair with your completed application, photo ID, and Social Security Card (payroll purposes only) so you can save time when there are sometimes long lines. The best first impression is arriving to your interview with a sincere smile. Be ready to share some fun, unique things about yourself that you think make you the perfect Team Member. We love to hear about your school accomplishments, extracurricular activities, hobbies, and other activities. Remember, previous work experience is NOT a requirement. Waldameer and Water World considers activities with school, volunteer work, and babysitting among countless others as things that indicate a responsible hard worker. It's okay to be a little nervous. All of us get a little nervous before an interview. Just remember, we are all very excited to hear from you! Unable to make it to our Job Fair on March 29th? No problem, we understand you have a busy schedule. Starting April 1st you are more than welcome to stop by the Park Office for an interview any weekday between 8:00am and 5:00pm and on Saturdays from 9:00am to 3:00pm. The Park Office is the large gray building right next to Paratrooper. Make sure you enter Waldameer from the 6th and 8th street parking lot, walk through the Dodgem gate, and make a left and follow Sky Ride until you see the Office on the right. We recommend you stop by as early as possible in the month of April as many positions fill very quickly. NEW for 2014: Want to become a Certified Lifeguard? 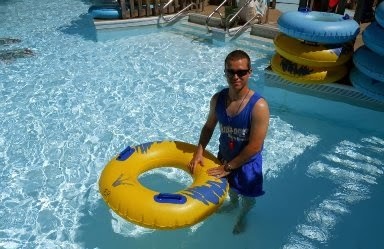 Lifeguarding is a very high-responsibility skill that looks great on a resume! Positions available for ages 16 and up. We have made some changes that will help getting your two-year certification more affordable! For the first time, Waldameer and Water World will compensate a portion of certification classes for the first year of a two-year certification. In the second year of certification, a portion of Water World uniform expenses will be compensated. Check out our Job Fair for more details! Having Waldameer and Water World on your resume provides you will a variety of useful skills for your future. Team Members come away with extensive experience in guest service, teamwork, critical thinking, and high levels of responsibility. Along the way of building up your work skills, you will have the summer of your life making friendships that last a lifetime, earn Team Member incentives, and celebrate Team Member Parties! For more information on Waldameer and Water World Job Openings, click here. Keeping with our recent theme of maintenance and improvements, let us explore the ongoing preservation of perhaps Waldameer's most venerable family thrill ride. 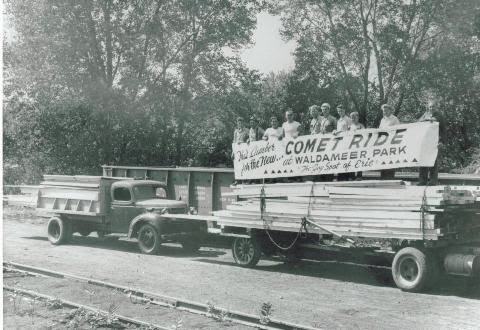 Most of us "Erieites" can say our first roller coaster ride was the Walda-Legendary Comet. Since 1951, Comet has provided happiness and thrills for millions of riders. It may not be the tallest, fastest, or most scary roller coaster in the world, but Comet can't help but put a big smile on everyone's face as every ride brings back memories of our first coaster ride. For many, Comet also becomes the first roller coaster we share with our children or younger friends and relatives. While we may not celebrate the arrival of new lumber like we did in 1951, you can still bet that new lumber is always arriving for Comet each off-season. Closing in on 63 years as a member of the Waldameer Family, you may be wondering why we titled this post "63 Years Young." A common misconception of wooden roller coasters is that they are all old and rickety which can sometimes make a potential rider feel uncomfortable about riding. Actually, it's quite the contrary! Each year Comet, Ravine Flyer II, and almost every wooden coaster in the world receives new lumber in various sections of the track and superstructure. Going further into detail, the lumber used on wooden roller coasters is all pressure treated which extends the life of wood dramatically before needing replacement. Follow us on our next exploration as we scale some of Comet and see for yourself how were are constantly maintaining this classic ride for 2014. Lots of new wood in the station roof which also supports a large turnaround. Something just doesn't feel right this time of year not hearing and feeling the coaster train rumble overhead. Comet's lift hill had many of it's diagonal supports replaced for 2014. Look closely on the right rail of the track and you will find some re-tracking! To the left you can see some new wood on Comet's superstructure. Several track ledgers were replaced to maintain a smooth ride. Several hand railings were replaced so we can provide our dedicated maintenance team much needed security when inspecting and working on the track each morning. Once the weather breaks we can get started on painting. Just for fun, here is a rare view of Comet's layout. The blue tarp on the bottom right is an ongoing project on Comet's final brake run. 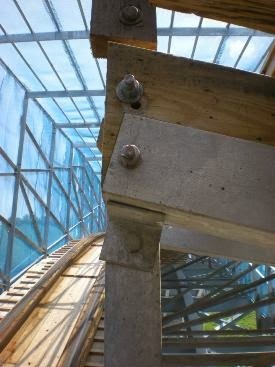 A closer look at the main brake run where an abundance of structural improvements continue to be made. Don't worry, everything will be ready for May 10th! Welcome Back! At least that walk wasn't as treacherous as our Ravine Flyer II re-tracking exploration! As you can see, Comet is far from a "Set It and Forget It" kind of ride as new lumber is always being integrated into the structure every year which actually makes the vast majority of the Comet much less than 63 years old. Now go out and impress the world with all of your new wooden coaster knowledge! Be sure to debunk all of those outrageous rumors that wooden coasters are old and rickety! PS: The Countdown is on! Exactly TWO months until Opening Day! A couple weeks ago we shared with you a peek into how we disassemble, inspect, and reassemble Ravine Flyer II's trains each winter to ensure they operate safely each summer. While that is the perfect project to undertake in the warm maintenance shop during the harsh winter months, the milder fall season was the perfect opportunity to improve several stretches of Ravine Flyer II's track. A common term used by experts to describe this improvement process is "re-tracking." Check off another improvement on our 2014 Improvement Map! I hope you remembered that safety harness and pair of climbing shoes, as we are about take advantage of a recent Winter thaw and explore our most recent re-tracking project performed on Ravine Flyer II. Notice how the track looks brighter towards the bottom of the drop? That's all fresh wood! A smoother 105' second drop. Did you know that RFII's two largest drops of 120' and 105' are larger than any other wooden coaster in the State of Pennsylvania? Up over the lift hill for some smooth airtime. A fast, smooth turn as we fly over L. Ruth Express. One last smooth pop of airtime before our flight lands. A smooth landing after a thrilling flight. Phew! That was a walk! And that was just some of the many sections of re-tracking. An added benefit of re-tracking projects in the Fall of 2012 and Fall of 2013 is a slightly faster ride experience. Engineers are always analyzing the coaster and making micro-adjustments to the banking of the track. These adjustments allow the coaster trains to fly with more ease which reduces stress on the coaster's superstructure and in turn gives a slight speed increase. While it not may look very significant (the middle bolt was moved), this is a very crucial adjustment to the track banking to reduce stress on the coaster structure. If you thought Ravine Flyer II was smoother than ever in 2013, wait until 2014! Test rides in this past Fall yielded some rave reviews of the already impressive, world-renowned roller coaster. We can't wait for all of you to try it out for yourselves! 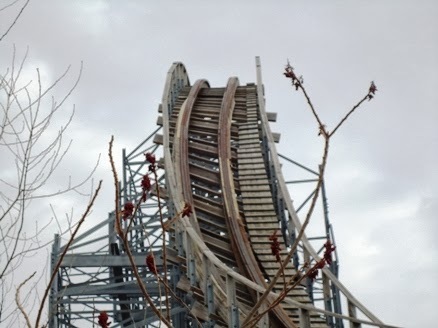 Whoever said all wooden coasters are rough?